Three University of Melbourne Professors have joined the ranks of the world's finest scientists after being elected as Fellows of the Australian Academy of Science in Canberra today. Professor Patrick McGorry, director of Youth Mental Health at the University of Melbourne and Professor Stephen Nutt and Professor Geoffrey Lindeman, both with the Walter and Eliza Hall Foundation, and Honorary appointments with the University of Melbourne, have been named fellows of the AAS. 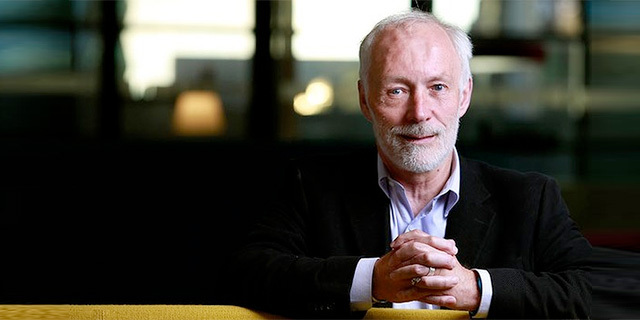 University of Melbourne Professor Patrick McGorry, who is the Executive Director of Orygen Youth Mental Health, is the first person in his discipline to be made a Fellow of the Academy. Professor McGorry is a world leader in the area of early psychosis and youth mental health and pioneered the early intervention model of care for young people with first episode psychosis. This model of care, which focuses on intervening early and providing holistic care to young people at the early stage of illness has been recognised as one of the most significant recent reforms in mental health care and has been adopted by the Australian Government and countries around the world. ‘I am delighted that Professor McGorry has been recognised as one of Australia’s great scientists with this honour. His research has led a global shift in mental health services, with a clear focus on translating new findings into services that help young people with mental ill-health. It is a great honour for him personally and a great endorsement of the value of our work at Orygen,’ says Mr Peter Smedley, Chairman of Orygen. Distinguished researchers from the Walter and Eliza Hall Institute, breast cancer researcher Professor Geoff Lindeman (pictured below, right) and molecular immunologist Professor Stephen Nutt (left) were recognised for their pioneering contributions to science. Professor Lindeman has spent more than 15 years advancing research aimed at delivering better treatments for breast cancer. His team was the first to identify the culprit progenitor cell responsible for breast cancer in BRCA1 mutation carriers. While Professor Lindeman has spent more than 15 years advancing research aimed at delivering better treatments for breast cancer. His team was the first to identify the culprit progenitor cell responsible for breast cancer in BRCA1 mutation carriers. The Faculty of Medicine, Dentistry and Health Sciences congratulates these outstanding researchers for this acknowledgement of their distinguished contributions to science. We value the important contributions our honorary staff make to the life of the Faculty in our mutual ambitions to further scientific research for the improvement of human health.